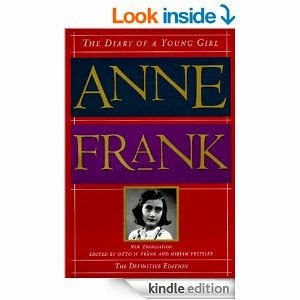 “Deep down I know I could never be that innocent again..."
This quote and others in this blog are from Anne Frank's The Diary of a Young Girl. When I first read this book I was a freshman in high school and the same age as Anne was when she was writing. I finished it with sobs and immediately read it again. I gave myself completely to the book. Decades later I would learn that a Jewish teenager had been my first teacher in the Daily Examen of Ignatian spirituality. Having revisited the friend of my youth, I am now considering reading her other writings. This link is worth clicking to look inside and see the wonderful photographs (from the Peter Harban's hardcover edition) of Anne and of her handwriting. Houston is home to Holocaust Museum which I have not visited and may never visit despite the fact that I worked with and greatly admire Dr. Milton Boniuk whose name is on HMH Library and who, with his wife Laurie in memory of their son, founded Rice University's Boniuk Institute for the Study and Advancement of Religious Tolerance. I don't go because I am convinced that I have a very good sense of the horror and just hearing or saying the word "holocaust" roils my stomach and can give me nightmares for weeks. I don't go because I heard the first hand account of the two lovely sisters who ran World Toy and Gifts that is pictured at the top of this posting. 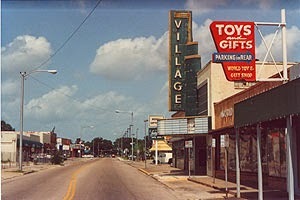 This street view no longer exists, torn down, gentrified, gone to all but those of us who remember. I spent countless hours visiting the Rice Village; my first off-campus date with DMP was probably at the theater. I seldom walked to the Village without stopping at the toy store. I loved the things of childhood and the respite a good browse brought from academic stress. I often bought small gifts there for my friends because even adults, maybe especially adults, need the pleasure of play. Mostly I dropped in to say hello to the elderly sisters I had come to love. Once I brought them Valentine cookies that I had made. They reminded me of Grandma Wieland. I never knew their names. They weren't posted anywhere. I doubt they knew mine; my purchases were always small and in cash. By the time our relationship had grown into a friendship it would have been awkward to ask or perhaps we were just past the need for naming. We chatted; they were always asking me questions about where and how I grew up. They laughed and shared happy childhood memories. They learned my mother's family was German and that they had come to America in the 19th Century, "so before the war?" They asked that question more than often. They asked about what I read, what I studied, what I thought. 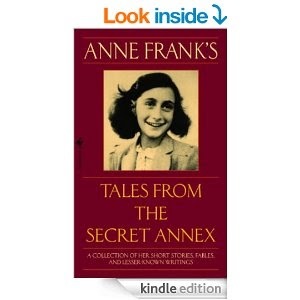 "Have you read Anne Frank's Diary?" Then one day they rolled up their long sleeves; they wore long sleeves even in Houston's hot, humid summers. Even when the store was warm and stuffy. The older hesitated and the younger prodded her, "Sister, we decided... you know... we must tell the story." Their arms were tattooed with numbers. The older sister would not meet my eyes. She said, "You understand what this means." "Yes, a concentration camp during the war." And then she said she was "ashamed" of the numbers and what it meant. These dear ladies were ashamed to have survived when others had not. And it broke, it still breaks, my heart. Over the next several years whenever I visited the toy store and there were no customers, they shared their story. Sometimes they lapsed into German which I understood only in bits and pieces. Twice they sang songs to each other. I have few regrets but I deeply regret that I did not go straight back to my dorm room and write down every word of their story me. I too often choose the demands of my daily ordinary life over what is truly important. I no longer remember their words but I will never forget the sound of their voices, the burden of their grief, the way the older would shake her head, the way the younger would pat her arm, the way they wrapped one arm around each other in a sort of sideways hug to get them through the ugly details. That is why I will not visit HMH. Because I know there are many voices telling the story of the Holocaust because we must not forget but I want to remember their voices, the voices of two sisters. The voices of my dear friends telling the story that was uniquely theirs. Although in truth it was not much different from many others. designed by Reginald Knowles in the style of William Morris. "maroon leatherette cover" with gilded pages and the phrase hidden in the gold on the cover and repeated on the lovely end papers of this volume: "Everyman: I will go with thee and be thy guide, In thy most need to go by thy side." Everyman's Library maroon leatherette cover. It is an early volume of Everyman's Library edited by Ernest Rhys #318 with "Forewords" by May Sinclair. Here is a link to Rhys's obituary by Robert Lynd. I started meandering because one of my favorite bloggers, Catherine Pope - Victorian Geek, noted that Elizabeth Gaskell's house in Manchester has been extensively renovated and is now open to the public. "Oh, to be in England..." but I'm not. I am instead enjoying a warm and sunny winter's day in Houston--screen door open to the fresh air and a happy dog napping on the patio, quite lovely--and I can make do with a virtual tour. Oh, my! Who wouldn't want to visit a house where Charlotte Bronte once hid "behind the curtains to avoid making small talk with other guests." Gaskell wrote an 1857 biography of Bronte just two years after her death. Gaskell's only published non-fiction, I think, created so much controversy that she vowed that no biography of herself should ever be written. In Women Novelists of Queen Victoria's Reign, A book of appreciations 1897, Edna Lyall wrote the chapter about Gaskell, available on the Victorian Web, and credited her with "a mind as delicately pure as a child's, wedded to that true mother's heart which is wide enough to take in all the needy." A phrase that caused me to laugh aloud since "delicate purity" is not necessarily an attribute of childhood and, even it were, could not long survive within "a true mother's heart" encountering "all the needy" while visiting prison and writing about social ills and issues, in particular those of fallen womanhood. Sometime ago I stumbled upon this delightful reference: Revoking Victorian Silences: Redemption of fallen women through speech in Elizabeth Gaskell's fiction by Comanchette Rene McBee, 2012, Iowa State University, and revisited it today. Download a sample. 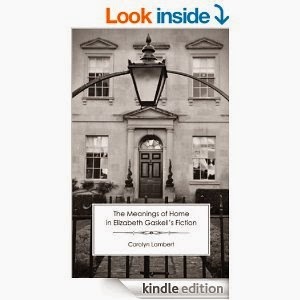 Lambert's Meaning of Home... Gaskell's fiction. I highly recommend reading Cranford or enjoying the excellent BBC production. If you enjoy it, you'll probably also like Lark Rise to Candleford based on the semi-autobiographical novels of Flora Thompson. Gaskell is a great favorite and I have twice her been mentioned in my blog. These postings date to a time when I was doing a much better job of maintaining my reading list than I have done of late. Gaskell, Elizabeth Cleghorn: Mary Barton. 1848. Kindle. Project Gutenberg. This book is essentially a love story with characters about whom it is easy to care. That empathy is the snare to engage the reader in a discussion of capitalism and the conflict between mill owners and workers and in an investigation of power, money, and faith. I should have posted these last month but I was busy. The utensil pictured right is Tovolo's Better Batter Tool. It quickly became an essential in my kitchen. Great for batters, scrapes the side of the bowl better than a spatula. Stainless steel handle gives it a lot of strength. High temp silicone makes it useful in making everything. Without it, I don't think I'd have the strength to beat, beat, beat my date nut loaf for the necessary five minutes. Carmen gifted me with an abundance of lemons. Juicy. Sweet. I consulted the expert Janet and made lemon curd. The secret to no clumps and no cooked egg white bits is the technique. The mixture will look curdled and that is OK. In a heavy saucepan, cook the mixture over low heat until the butter melts and the mixture looks smooth. Increase the heat to medium, stirring constantly with that Tovolo tool until the mixture thickens. When done it will leave a path on the back of a spoon, 170 degrees on thermometer. Remove from heat and add lemon zest. Transfer to a bowl, press the surface with plastic wrap, chill in the fridge. The curd will thicken as it cools. Cover tightly. Keep in the refrigerator for a week. May keep in the freezer up to two months. It is possible to prepare canning jars and lids and process for 20 minutes in a boiling water bath and keep it much longer. If there is ever an "off" or metallic smell, do not eat the curd. This fudge is by far the best I've ever had! The secret is starting with quality chocolate. I used Ghirardelli and made two batches, one with pecans and one without. Pecans were better. I also made one batch with butter and one without as the Ghirardelli suggested. The butter version was smoother, better fudge. I used the microwave rather than a double boiler. It is very easy to scorch chocolate. Lining with wax paper was suggested but I thought the butter worked much better. Return to microwave for 30 seconds. Return to microwave, removing every 30 seconds to stir, until chocolate is melted and smooth. The whole process in the microwave takes 3 to 5 minutes. 2 1/2 teaspoons vanilla extract. Makes about a dozen large pieces or 16 bite-sized pieces. I thought my cheese knife worked very well. Store uncovered at room temperature. I layered mine between wax paper and put in small tins for gifts and to serve at family gatherings. I must have about a thousand pound cake recipes. 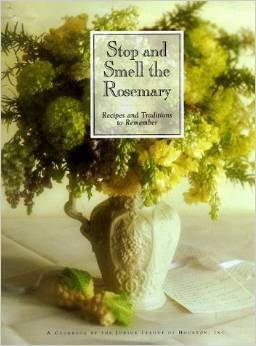 My favorite pound cake recipe is from the Houston Junior League's cookbook Stop and Smell the Rosemary, the best cookbook in my collection. One day during the holiday rush, I had no milk, no buttermilk, no sour cream, no yogurt, no canned milk. Nothing. And I needed a cake to take to dinner with friends. No time and even less motivation to make a trip to the grocery. I remembered an old southern favorite 7-Up Cake and decided that ginger ale might be a bit more seasonal. Spray a 10-inch Bundt pan with Baker's Joy. about 5 minutes until the mixture is light and fluffy. At this point you want to beat it really, really well to incorporate a lot of air because this cake does not contain baking powder or soda as a leavening agent. Beat just enough to incorporate the flour; do not overbeat. The ginger ale is serving as the leavening agent that will make the cake rise and you don't want to beat it death and lose all the carbonation. Remove from pan and glaze. sift regular flour. Measure 3 cups. Remove 2 Tablespoons of flour and add the rest to this recipe. My general rule for cake flour is to sift regular flour (I usually used Gold Medal unbleached) at least three times then measure the amount the recipe calls for being careful not to mash the flour and lose its lightness. I prefer a 3-4 cup stainless steel sifter with a rotating handle as pictured. One key to cake perfection is precise measurement and a really good sifter. These amounts are approximate. Add more powdered sugar or more liquid one tablespoon at a time until desired consistency. Served with Honey-Baked Ham, it was so good, simple plain fare at a holiday table. And so easy. I made some changes to reduce fat and it worked great. They ate every bite. Some recipes used only 1 egg but since I was not using sour cream I added the extra for richness. *In this recipe a substitution worked great. I used a bit more than a cup of cottage cheese (not low fat, 4%) and 2 Tablespoons of whole milk in the blender and pulsed it until it was the consistency of sour cream. I think yogurt would also work well. Had I been using low fat cottage cheese and milk, I think it would have needed the whole stick of butter. Some recipes add 1 cup grated cheddar cheese but I didn't think it need that. Bake about 40 minutes until clean toothpick in the center and the edges just begin to brown. Serve warm just out of the oven. It does not reheat well. Greeting me on my 66th birthday, Baby Sister writes: "My most favorite memory out of MANY, is time you spent reading aloud to me. "Little Women", "Jo's Boys", that little newspaper....shoot, even the funny papers. . . Whatever you read to me came alive. " Pretty close to my favorite memory also. The "little newspaper" was Capper's Farmer which usually arrived weekly just before noon in Thursday's mail--Rural Free Delivery. We were not allowed to read it until Daddy had finished it. For some reason, the male of the household required a "virgin" newspaper. I know this practice was not only our house rule because it is part of the comic routine of the BBC's "As Time Goes By" which DMP and I greatly enjoy. Twentieth Century movie clips and photos of the family breakfast table often feature the man of the house with a pristine newspaper. I noticed it on several episodes of Downton Abbey. The rule which I often considered unfair worked to my advantage since Friday was test day at school and Thursday evening was needed for review but my weekend reward was Capper's Farmer. Arthur Capper published his weekly beginning in 1913 to inform "dirt farmers" and to support his political ambitions. 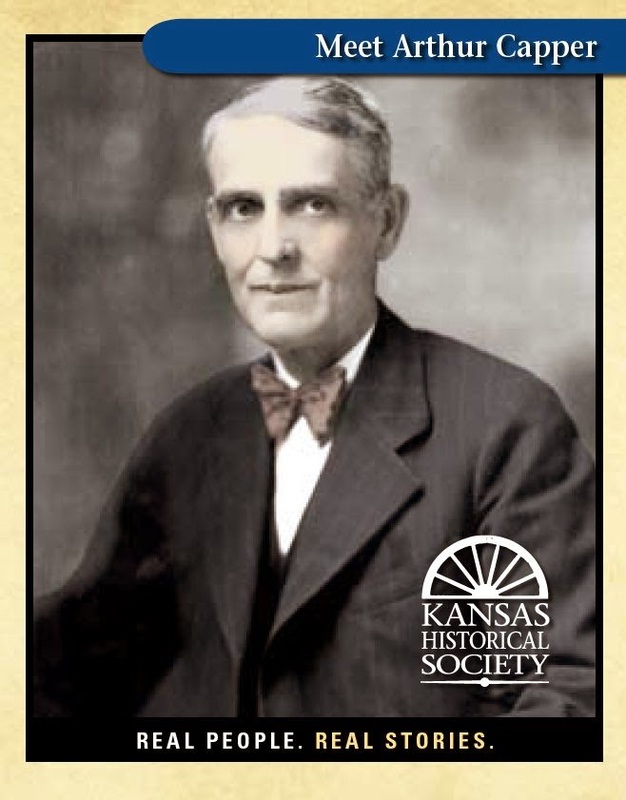 He served Kansas as governor 1915-1919 and in the U. S. Senate 1919 - 1949. Scion of an abolitionist family, Arthur Capper was first president of NAACP in Topeka. A leader of the Farm Bloc and co-sponsor of the Capper-Volstead Act, he could attract controversy. I first came across my favorite example of such controversy in this 1922 article from JAMA Vol. 79 No. 17 when doing retrospective bibliography as a medical librarian in the early 1980s. The link is to the only free source I could find on the net. In my youth I remember being shocked, amused, confused by some of the advertisements to be found in the back of such publications. Cures. Quackery. Devices. Pills. Potions. A primer to all the "we don't talk about those things." 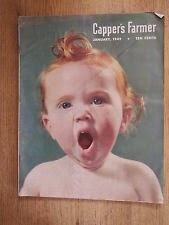 Arthur Capper died in 1951, the year my baby sister was born so "that little newspaper" which I would be reading to her several years later was no longer the product of his hand. 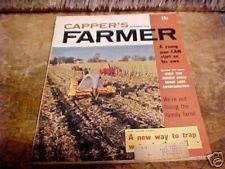 I suppose Capper's Farmer which published through 1986 must have included serious articles about farming methods, issues, and politics of interest to my father but what I remember are the fillers and the articles meant for the farmer's wife. Recipes. Canning tips. Gardening guides. Dress and quilt patterns. The quilt patterns live on in the quilting blogs like this one. I have my mother's cookbook which is full of clippings, many from the pages of "that little newspaper." and soft soap is mostly lye." "We eat what we can and what we can't we can." Which was always worth a smile during the long hot summers when we ate whatever the garden was "making" and spent countless hours shelling black eyes and beans, shucking and silking corn, peeling tomatoes or peaches while wishing for a bit of cool in a kitchen filled with pots of boiling water. No air conditioner for many of those summers. For Baby Sister and me, Capper's weekly was all about serialized fiction. In fact, most magazines in our house were valued for the serialized fiction. We adored the simple romance and the thrill of gothic. On those long lazy afternoons and evenings when I read aloud until my throat was too sore to read, we grew to know and love Mary Stewart, Victoria Holt, Nora Roberts, and a host of lesser writers whose names we never learned. 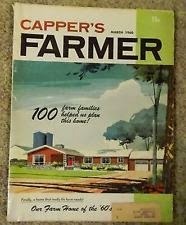 Our most favorite of such stories was published not in Capper's but in The Ladies Home Journal. In April 1960, I was 10 years old; Baby Sis had just turned 8. Seems a bit young but we may have read it some years later from a back issue; I know we read it over and over again. Eleanor Hibbert writing as Victoria Holt, The Mistress of Mellyn. Decades later I bought a first edition and read it aloud again while we made a long car trip together. Arleigh's great blog with pictures of LHJ April 1960 issue is well worth visiting.